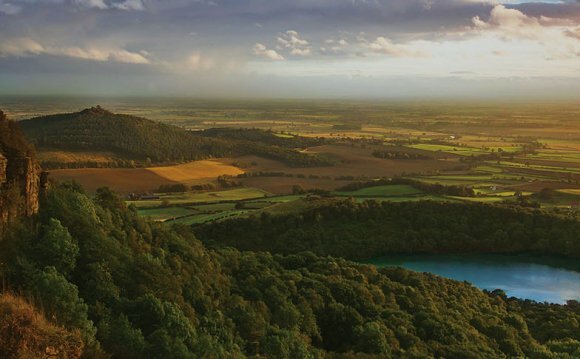 Holidaymakers looking to experience the excitement of cities, the beauty of the countryside and the panoramic scenery of the coast will find it all in East Yorkshire. Located in the North East of England, this is a beautiful area of the UK with traditional market towns and quaint villages mixed in with modern city life. Here visitors will find numerous different places to stay including self catering accommodation, holiday cottages, guest houses caravan parks and camp sites. East Yorkshire is a great location for hikers, cyclists and horse riders with many trails to be found in and around the area. Visitors here will also find numerous places to try some fishing with Risby Lakes at Beverley having four well stocked ponds and sea fishing available at various coastal towns like Bridlington. There are several golf courses within this part of Yorkshire, especially in Bridlington. Holidaymakers may like to try out the many watersports available on the North Sea and various lakes and rivers in the county, such as windsurfing, jet skiing and sailing. Visitors preferring the indoor life could try something different such as Laser Quest or ice skating in Hull. There are many other outdoor activities to try in East Yorkshire including tennis, bowls, paintballing or clay shooting. East Yorkshire offers a pleasant mix of eateries such as restaurants, cafes, tea and coffee shops and public houses, with food from many different parts of the world to cater for all tastes. There is a great choice of shops in this part of the country ranging from local markets and small boutiques to large shopping centres. For example places like Hornsea offer arts and crafts stores, whilst there are large shopping centres at Hull and Bridlington. There are many interesting places to visit in East Yorkshire such as Hull’s award winning submarium called the Deep. Numerous museums and galleries are to be found in the area as well as historic homes and gardens like Sewerby Hall and Gardens just two miles from Bridlington. With the countryside and coast easily accessible from all parts of East Yorkshire, visitors can enjoy lots of wonderful wildlife with Bempton Cliff Reserve one of many highlights. The warmest time of the year to visit East Yorkshire is generally July and August when the average high is approximately 20 to 21 degrees centigrade. The driest months of the year tend to be May and July while December and January is the wettest time of the year with between 70 and 90mm average rainfall per month.